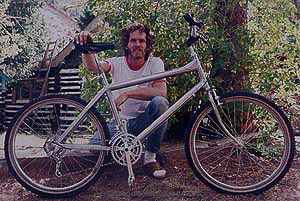 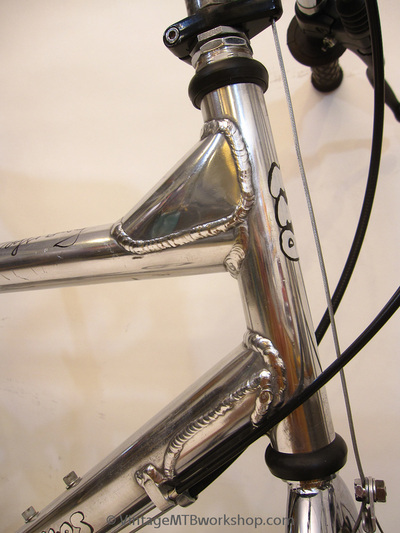 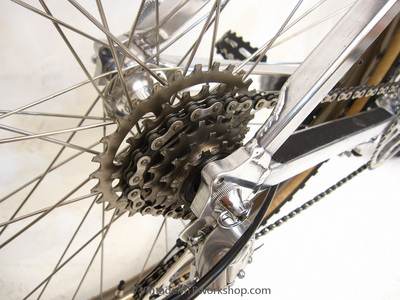 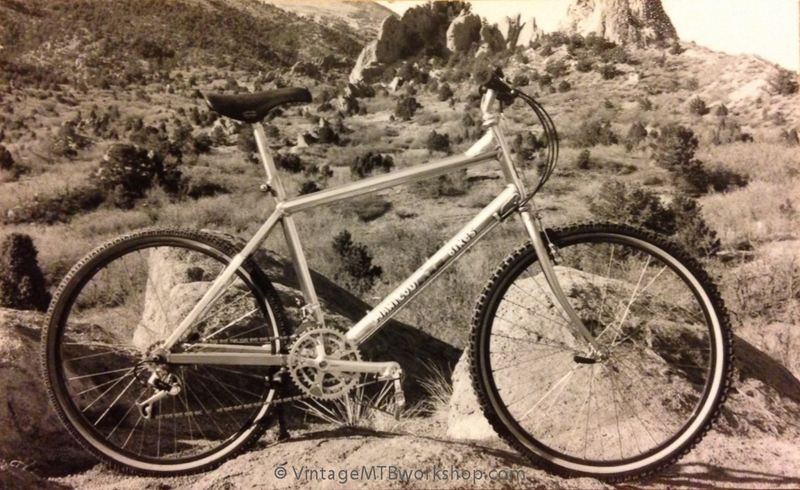 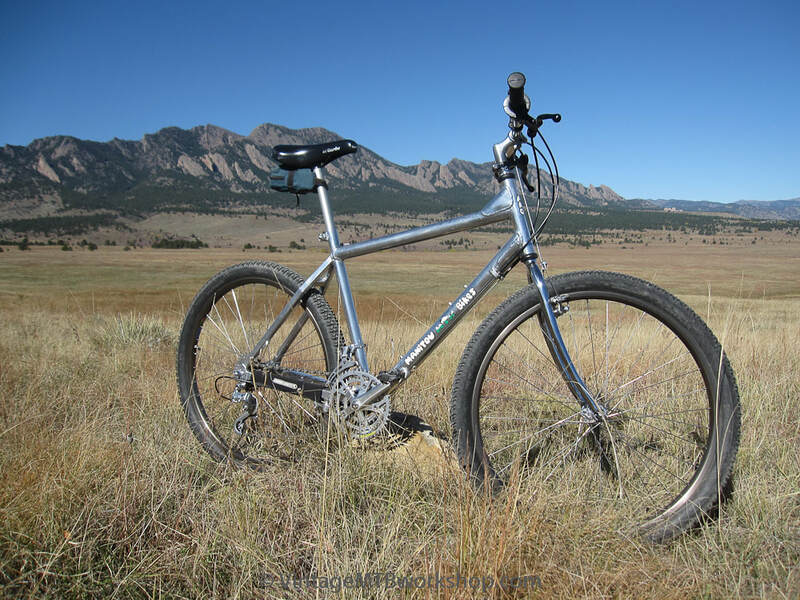 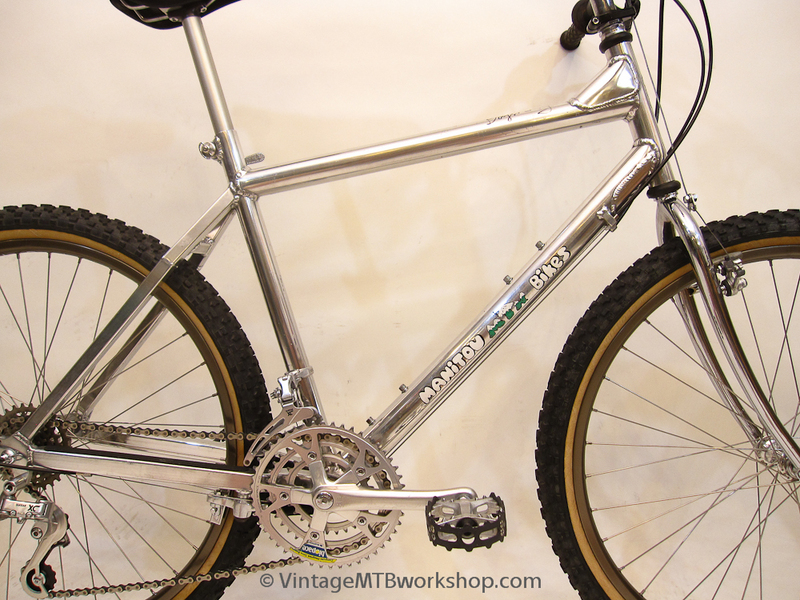 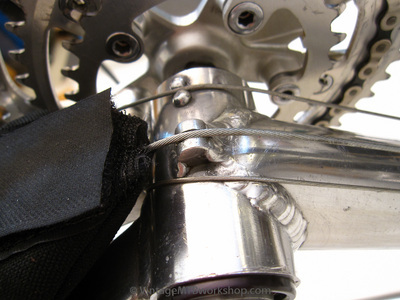 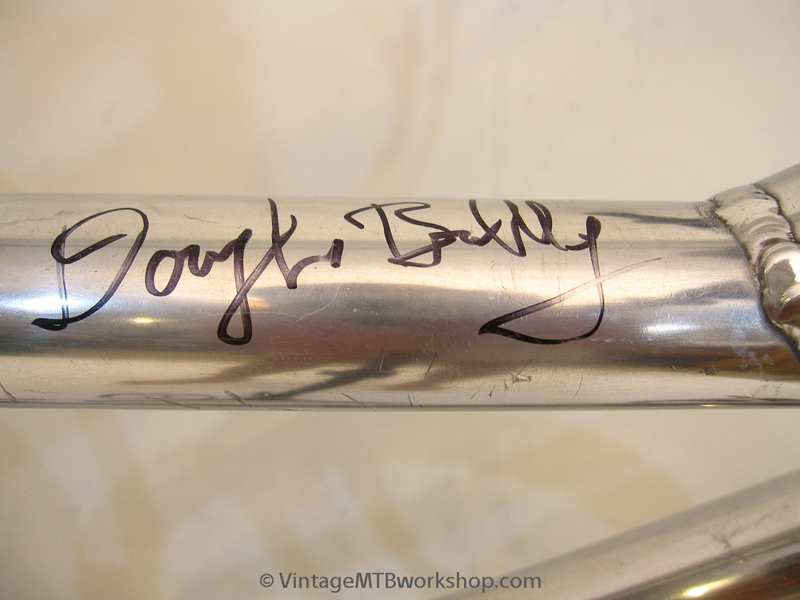 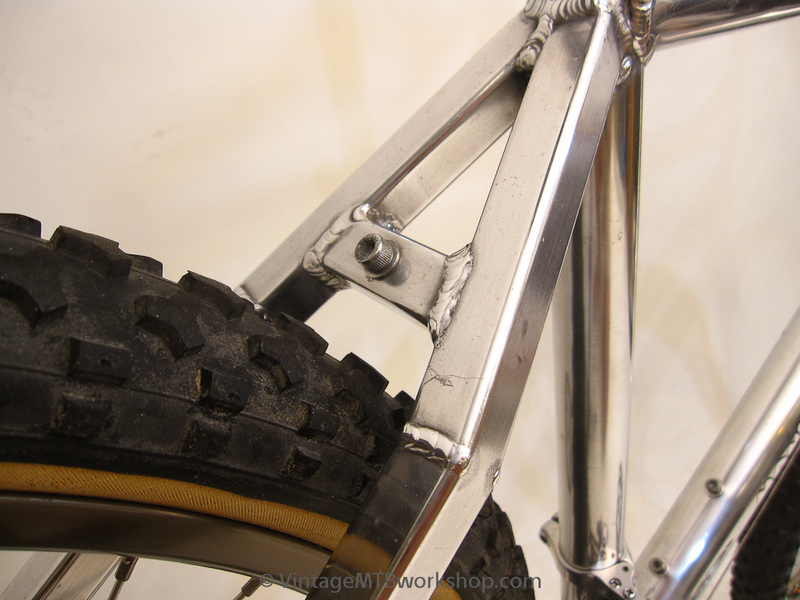 Doug Bradbury started building innovative aluminum mountain bike frames in Colorado Springs, Colorado around 1985. 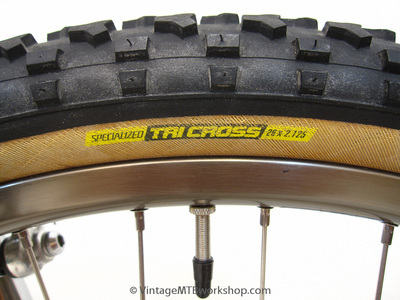 His earliest bikes were heavily influenced by his background in motorcycle trails, with short chainstays and toptubes, tall headtubes, and upright riding positions. 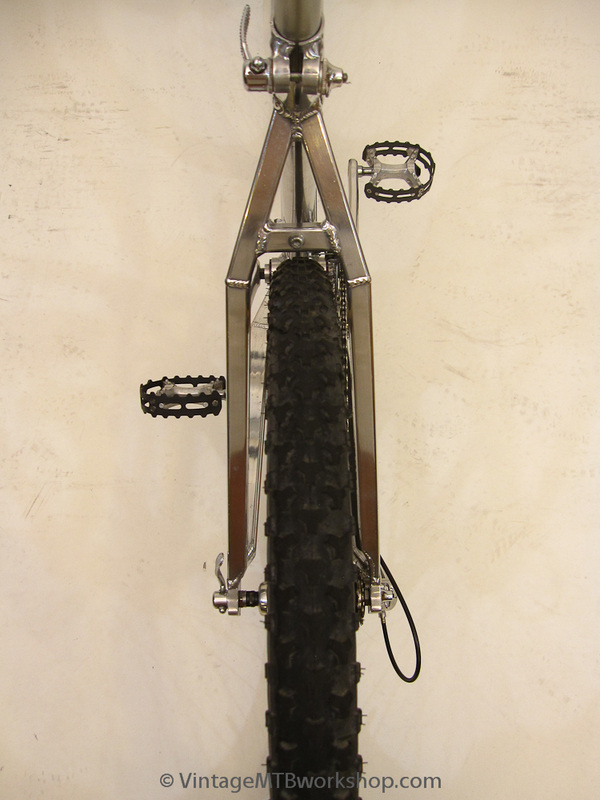 The wheelbase is an ultra short 40 inches. 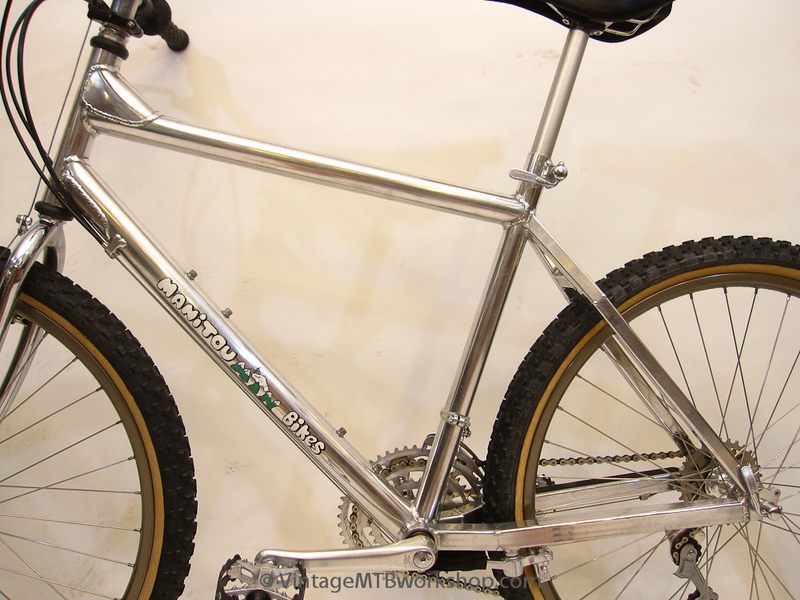 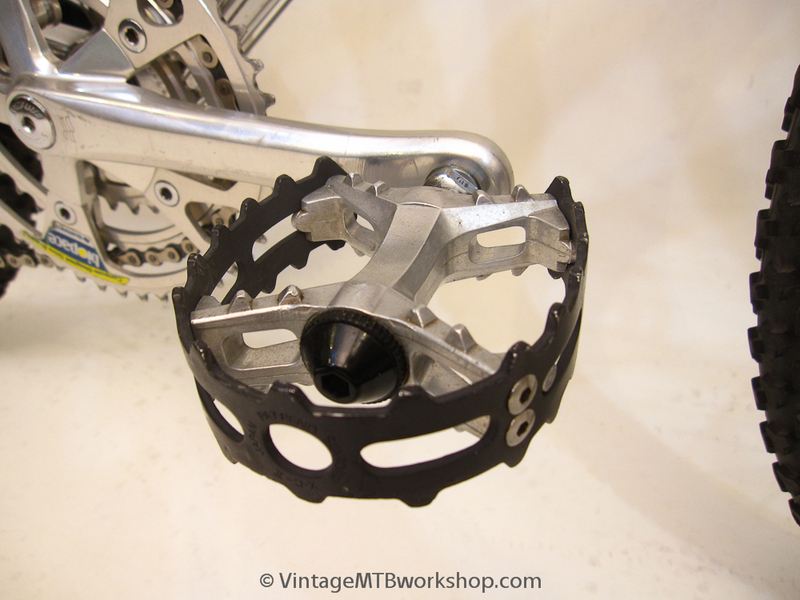 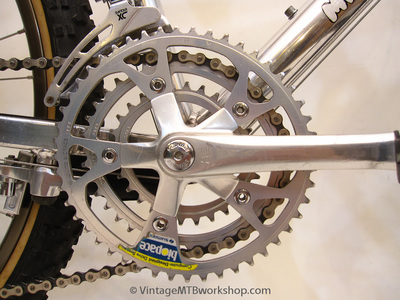 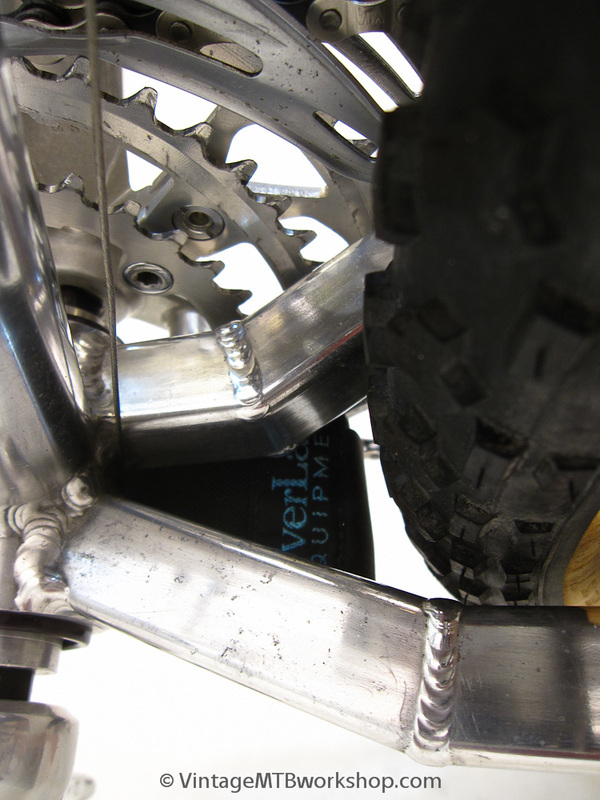 This particular example is from his first run of bikes, and closely matches both the bike depicted on his early business card and his entry into the Mountain Bike Hall of Fame. 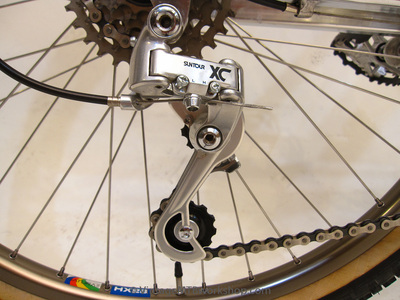 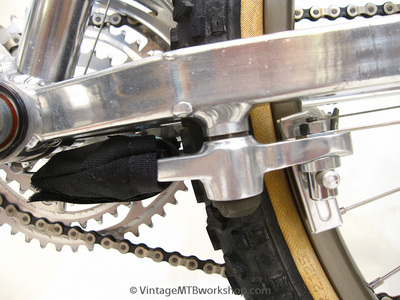 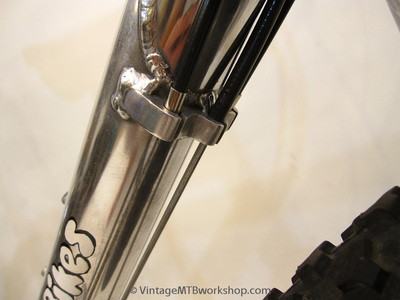 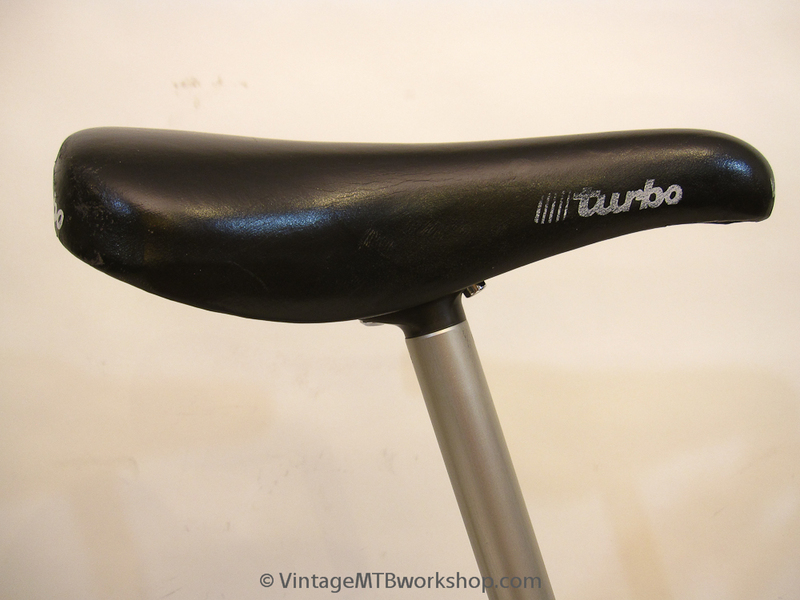 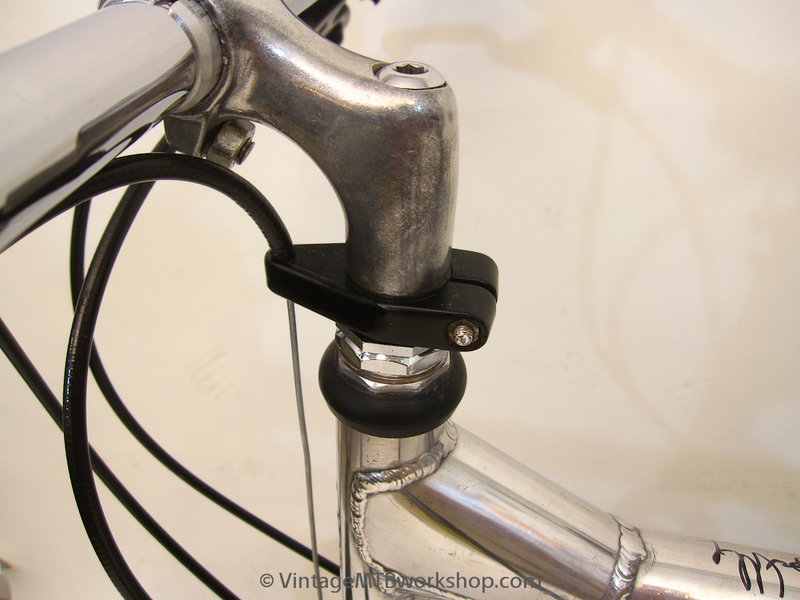 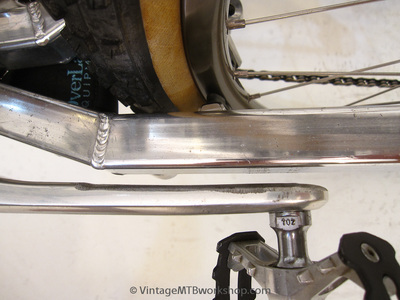 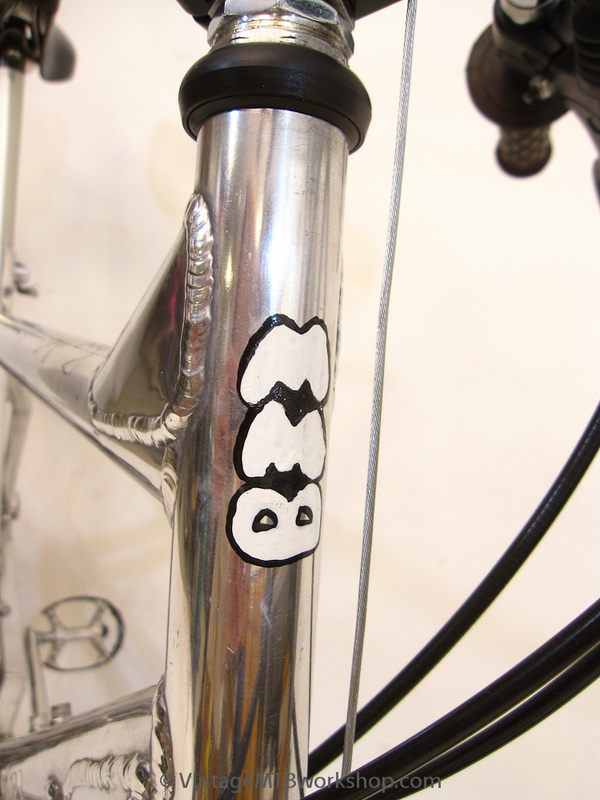 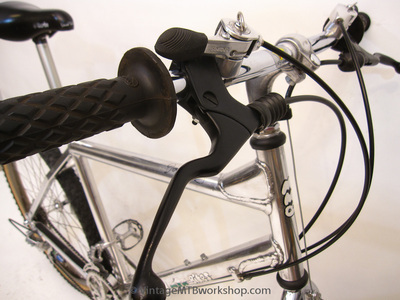 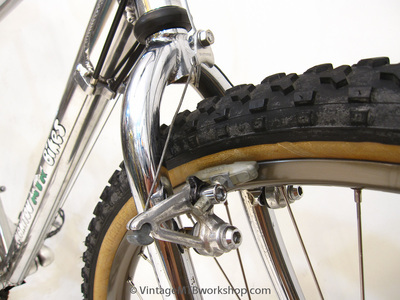 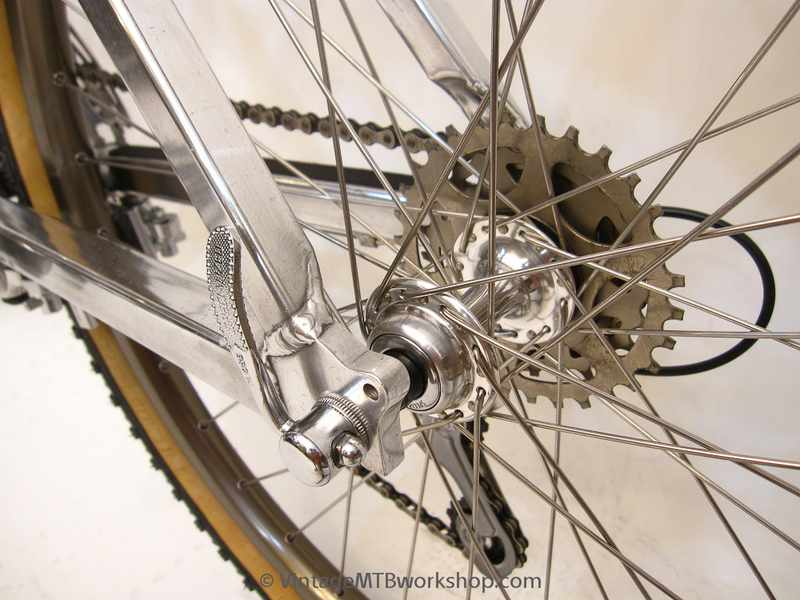 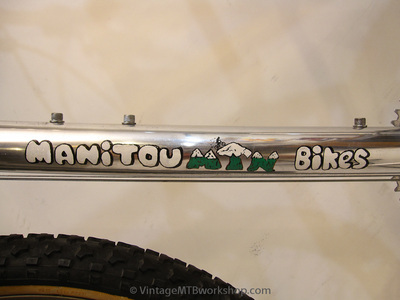 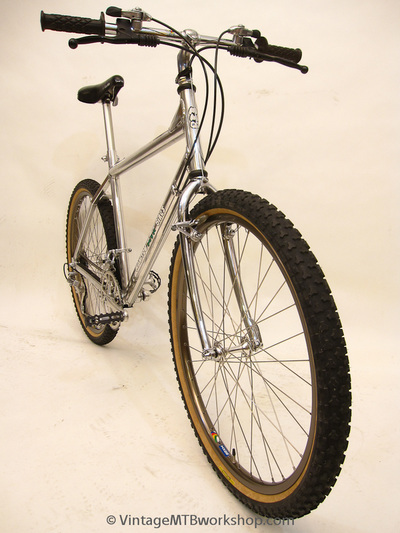 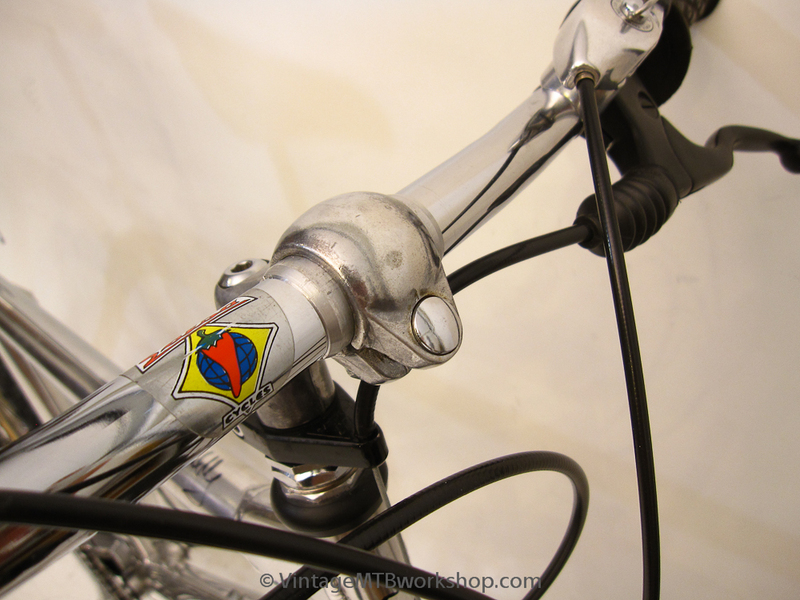 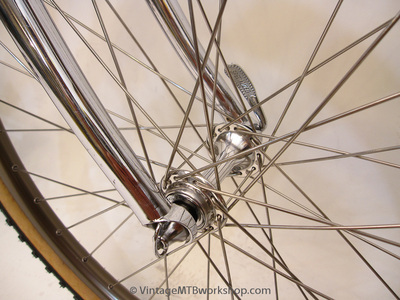 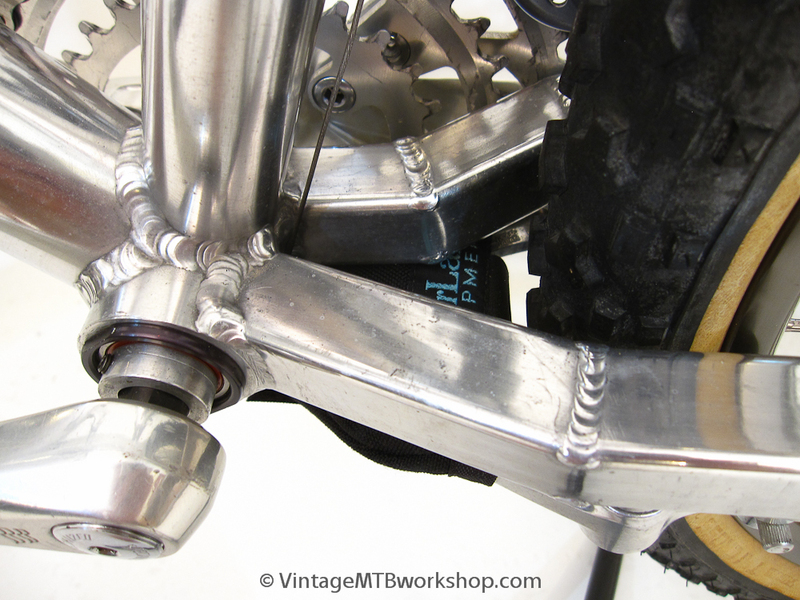 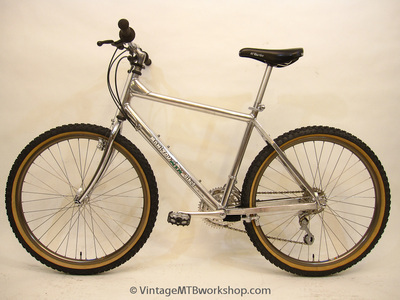 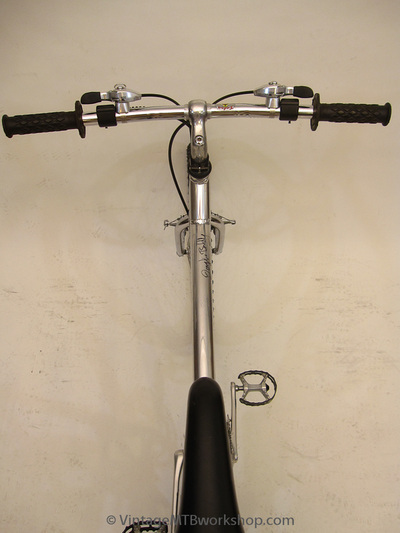 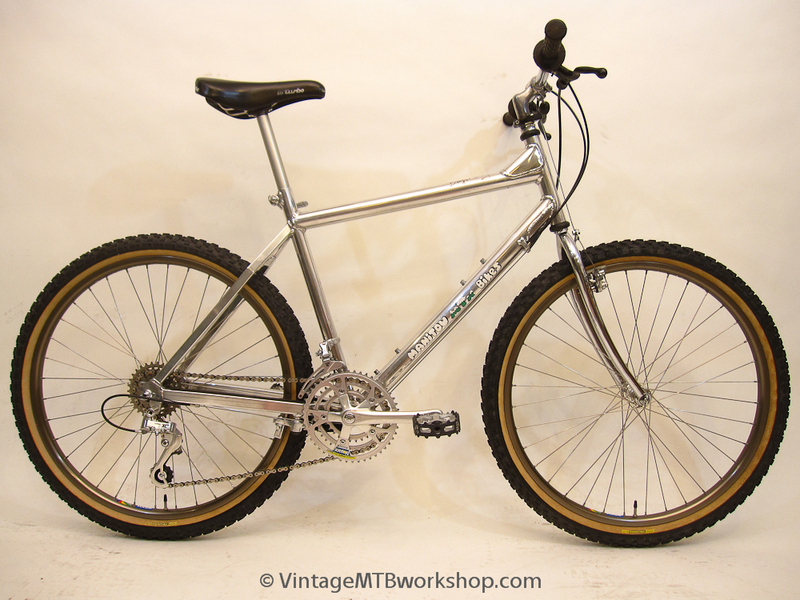 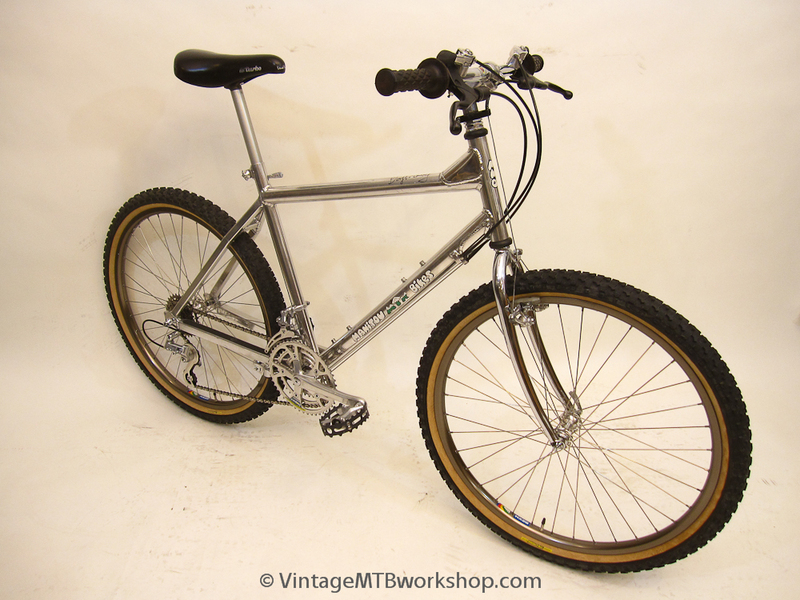 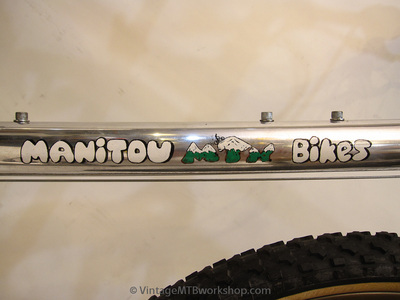 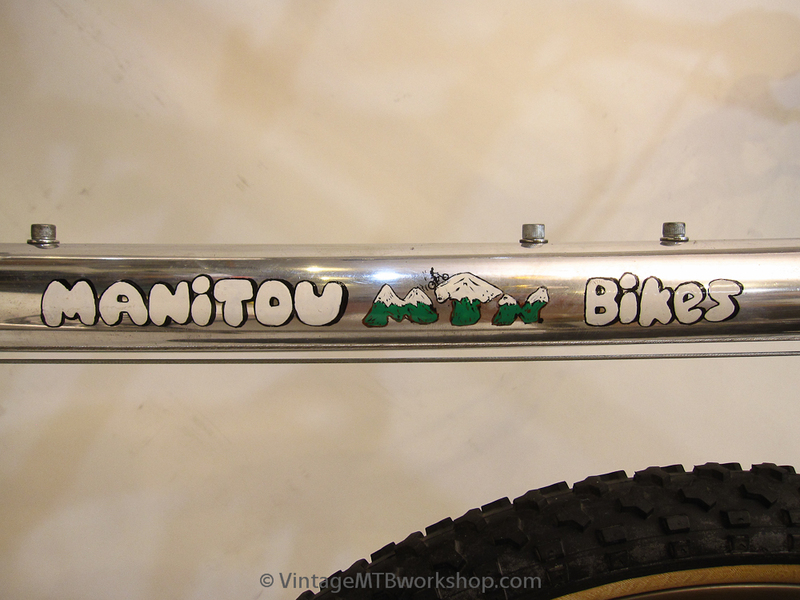 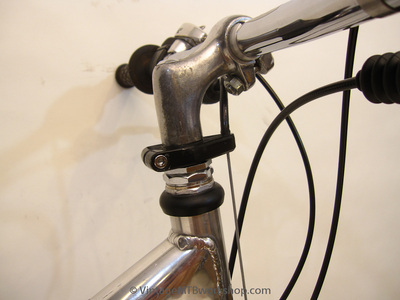 This bike predates the appearance of characteristic Manitou innovations such as the asymmetric rear end, wide front hub, triple clamp fork, and billet aluminum stem. This bike has a 21.5 inch toptube, 16.5 inch chainstays, and an ultra short 50 millimeter stem. 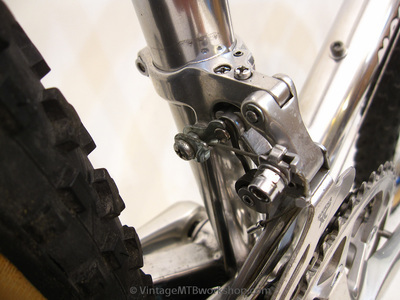 The bike is particularly adept at handling tight switchbacks at slow speeds. 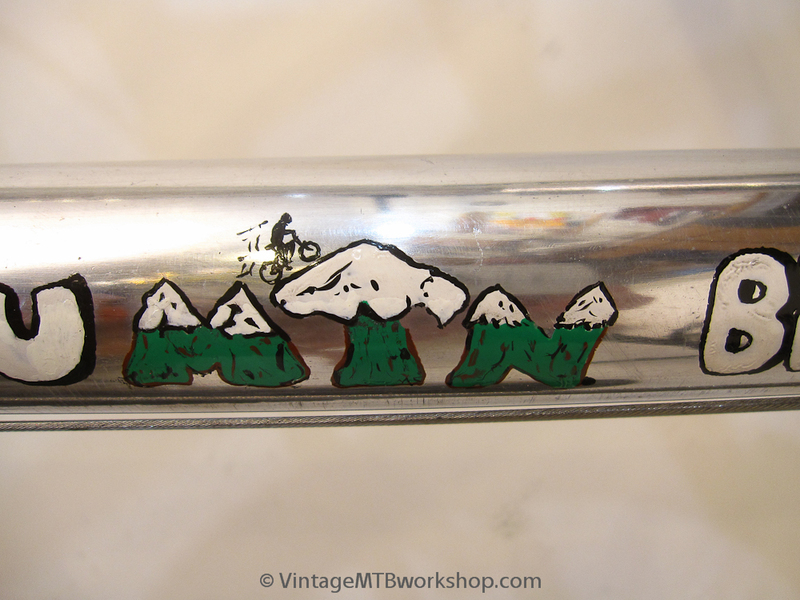 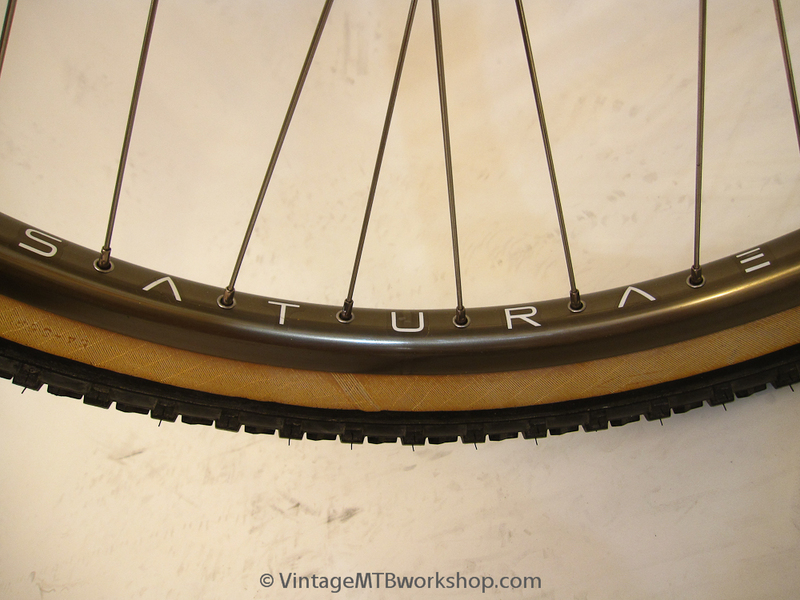 The graphics on this frame were hand-painted by a good friend of Doug's that he knew from riding trials motorcycles.